Do you suffer from headaches, or do you know someone close to you who does suffer from headaches? It is such a common issue to have headaches. Many, many people, in fact millions of people throughout the world have what is termed “Normal Headaches” on a daily or weekly basis. They are expecting, and usually they actually experience a headache. What’s important to mention is that there’s no such thing as a normal headache, however. It’s not normal to have headaches on a regular basis. However, many people have been told they have just the normal headaches or, they themselves have come to their own conclusion they just have the normal headache. What are the most common causes of headaches? 40% of headaches can come from dehydration that’s why it’s important to drink water regularly. They can also come about from eye strain, or from having a high blood pressure. Most commonly, and by far the most regular reason people have headaches is to do with upper neck tension. Particularly tension at the back of their neck, in those top two or three centimetres, which comes about for many different reasons. One of the most common reasons people have so much tension in their upper neck is the amount of time they spend looking at digital devices, whether it’s a phone or a mobile device, or looking at a computer screen. The amount of stress and strain that places in the upper five centimetres of your neck is enormous. As our head tends to move forward as we are looking at a screen or a digital device, we tend to change the posture of the upper neck vertebra. The vertebra can become “subluxated”, which means jammed. This can create a lot of tension through the delicate, soft fibres in the area. By that I mean, the nerves, the muscles, the ligaments, and the discs themselves can become inflamed and irritated, which can lead to lots of changes, not just locally, but in areas particularly where the nerves travel to. Headaches from an upper neck cause are extremely common. 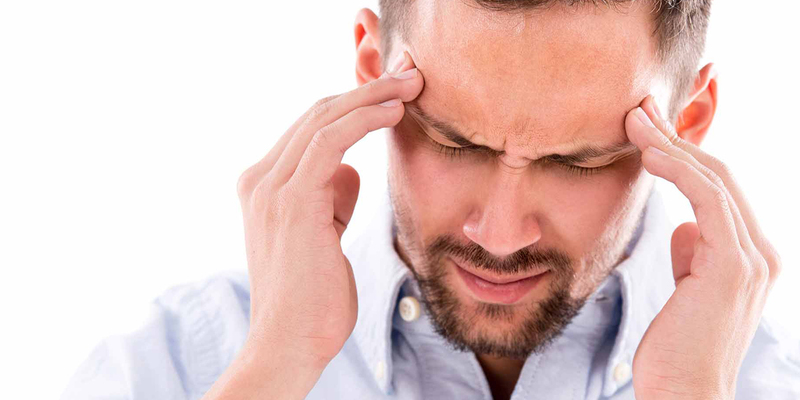 In Care for Health we regularly see people on a daily basis who are suffering from headaches. It’s really sad to know that many people have been suffering from headaches for an extremely long period of time before they’ve actually looked into it, and realise that they don’t need to live with those headaches when our practitioners remove the bio-mechanical or musculo-skeletal interferences achiving a better curve for your neck. If this is your case, seek out some care and attention from Care for Health. We are so well equipped to be able to diagnose the cause of your headaches, getting excellen results. In a nutshell, please remember that a headache is not normal.